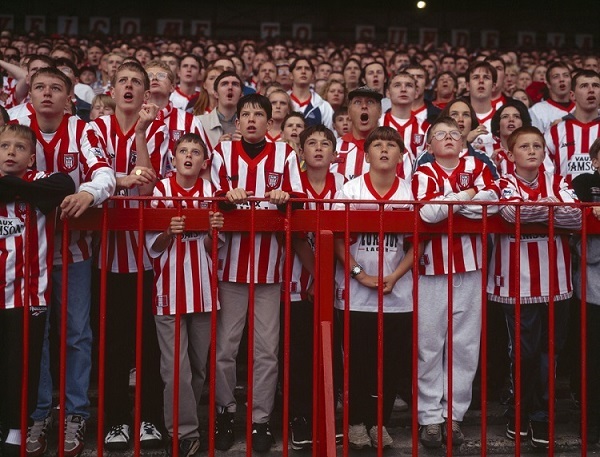 Stuart Roy Clarke has been documenting football through a camera lens since 1989, capturing the ever-changing face of the beautiful game for three decades. His evocative photographs place fans and grounds at the heart of the story, affection and purpose present in every shot. Having staged two captivating exhibitions at the National Football Museum, Stuart returns to the home of football history to present a collection of his most significant work from the last thirty years. Reflecting its subject matter, The Game is a dynamic exhibition that will grow and change over the course of twelve months, with a hand-picked selection of Stuart’s favourite images at its core.